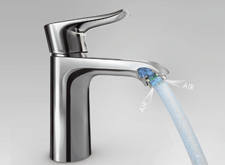 We want your project to be a success: Hansgrohe is a reliable partner from conception to completion. The outstanding quality of our products gives peace of mind when implementing your project – and beyond. Take advantage of the benefits of individual Hansgrohe consultation, our expertise and our wide range of services for successful project business. 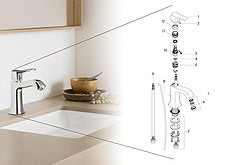 Hansgrohe counts on German know-how and the highest production quality: for durable products that offer long-term benefits and are also easy to install. 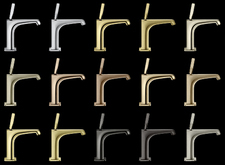 The design quality at Hansgrohe is another good argument for the planning phase. The tangible added value of our innovations has won over customers around the world. Various seals of quality represent trendsetting technologies and good arguments in terms of sustainability – something that is becoming increasingly important in project business. 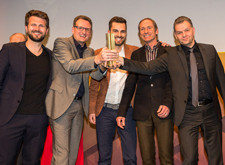 Hansgrohe innovations such as EcoRight improve resource efficiency and are a winner for environmentally conscious customers. Take advantage of the various innovative comfort features of our products for ensuring the success of your project. Every year, our products receive the highest accolades for their successful combination of functionality and aesthetics, which blend in harmoniously in various style worlds and perfectly round off your project. Meet customer demands with individual solutions featuring outstanding workmanship. The customized products – which our in-house manufacturing team can realize according to your every need – perfectly meet the desire for unmistakable design. All spare parts for our products are available for ten years. This prevents the need to prematurely replace the entire product and ensures a safe investment.